Hi! I’m Rachel and this is ‘justabitofRach’ – my lifestyle/beauty blog. I’m twenty and in my third and final year of a law degree, about to embark in the big wide world. I bake a lot, read and write a lot and adore driving and discovering new places. I’m an avid writer, which is why I tend to find writing the easiest aspect of my blog. It’s because of this love of writing and seeing my words in print for others to see, that I decided to start a blog. I have so much to say and so many ideas in my head, that blogging became a natural progression. Something that I hadn’t expected to inspire me to blog, because I am possibly the least artistic person you will ever meet, was the blog designs. There are so many great blogs out there with beautiful designs that it really inspired me to choose blogging as a medium to express my words. 4. What’s your blog focus on and what do you love blogging about? My blog focuses primarily on lifestyle and beauty. I originally set it up as purely a beauty blog with snippets of lifestyle but lately I’ve been focusing on lifestyle a little more. What I love about lifestyle blogging is the impossibly wide array of topics to talk about. Everyone’s lifestyle is different, whether you choose to talk about suggestions and ideas, things you’ve bought, or follow me around lifestyle blogs – everyone brings a little something different to the term ‘lifestyle’ blogging. 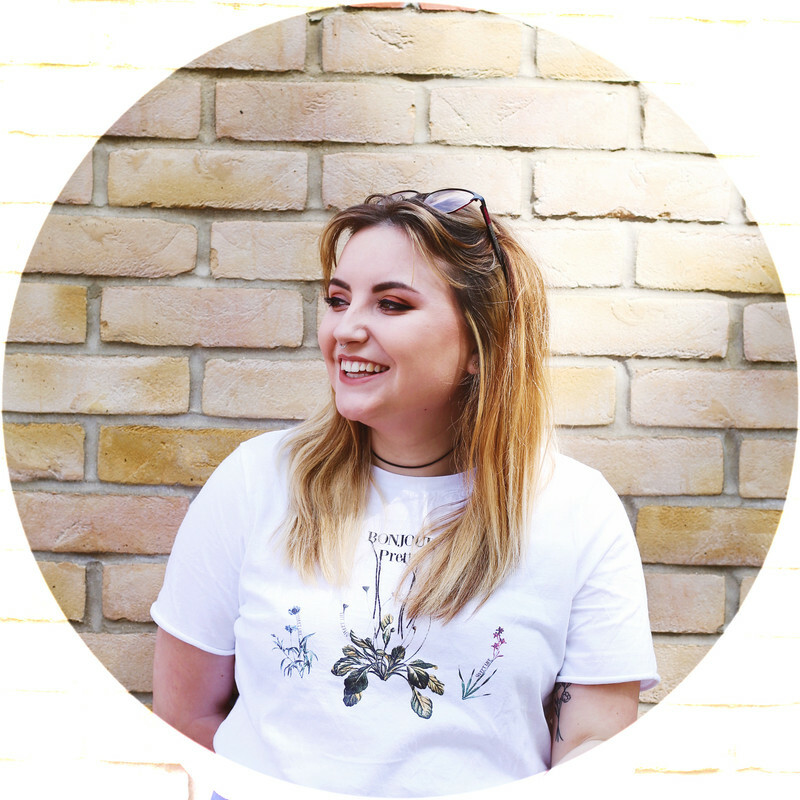 I’m loving the ‘follow me around’ lifestyle concept at the moment – I feel like it really brings the reader into your world, in fact, one of my favourite blogs is Rosie at The Londoner although my posts are never quite as glamorous as hers! As for beauty blogging, I’m going to go out on a limb and assume that we’ve all had that moment where you use a product and it’s amazing/diabolical and you really need to talk about it. That’s the part of beauty blogging I love the most. New products are always exciting but it’s when you have genuine feelings (an odd term I know!) about a product, that’s when I love writing about them. Travelling. It doesn’t even have to be far or exotic. I love journeys, whether it be car journeys or train journeys – and getting lost in a city or town that I’m unfamiliar with and taking in the lifestyle of those local to the area. - Attaining a graduate job. Applications have started already so I’m putting my time towards that. - Travel more. I don’t have a lot of time for out of the country travelling at the moment but I’m looking forward to more road trips with my little car! - Spend more time on my blog. I have a schedule of about once a week/every four days at the moment but I’m hoping to invest more time in that. - Read more classics. I adore classic books and I’ve got a list I’m planning on getting through this year, I’m hoping I can stay on target to get them all finished! Beauty: MAC’s Patisserie lipstick. It’s one of those ‘your lips but better’ shades and it’s the first lipstick where I’ve swiped it on and fell in love straight away (and then had to track down because it was seemingly sold out everywhere). Tech: My iPhone. It handles everything in my life with perfect efficiency, is so simple to use and is designed beautifully. My biggest gripe with it is the terrible battery life but other than that, definitely a must buy. Fashion: Zara Office City Bag. I remember this being so hyped up a while back and with good reason. It’s an excellent size, carries all my bits and pieces and just looks so chic. I’ve gotten so much use out of this bag; I wouldn’t hesitate to buy it again, although I don’t actually know if they still stock it.